The tradition of burning incense is a long one. Archeologists have found evidence of its use during the Neolithic age in China, ancient Egypt and the pre-Columbian cultures of the Americas. 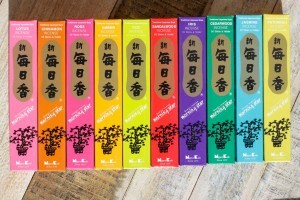 For some cultures incense burning has religious and ceremonial associations, for everyone it can provide a wide variety of aromas for creating a mood or subtly perfuming and freshening a room. Caoba customers often ask us for the source of the beautiful aroma in the shop (note for all you online shoppers, Caoba does indeed smell glorious!) It’s not a secret formula, it is simply the unique blend of all the scented candles and incenses on the shelves. 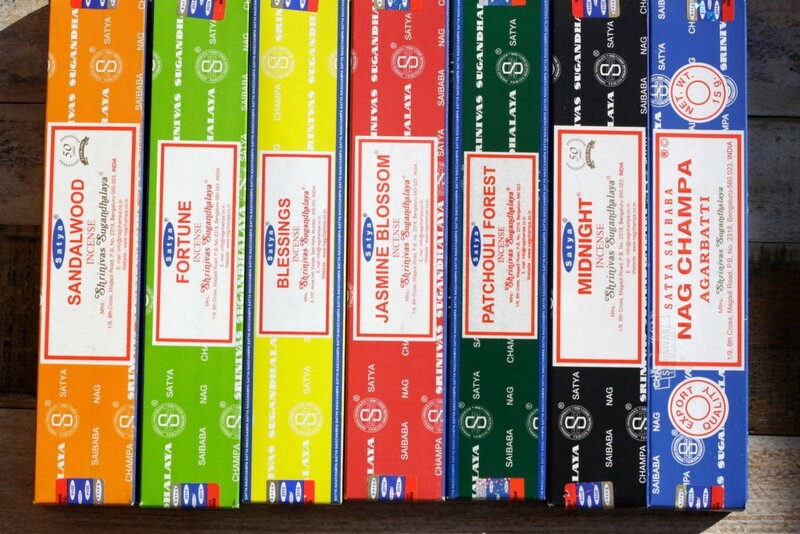 At Caoba we stock a variety of incense sticks and cones from India and Japan. Great for relaxation, meditation and air freshening. We also carry wooden and ceramic holders and burners. 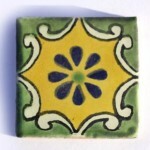 Our small Mexican tiles can even double up as decorative heat-proof stands. 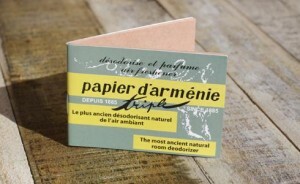 One of our favourites is the delicate Papier d’Arménie incense paper; a booklet of paper strips infused with the dried resin from the Styrax tree (benzoin). These papers were developed as an air deodoriser in 19th century France by Auguste Ponsot, whose Armenian travels had introduced him to the pleasant benzoin aroma. The glowing embers of a concertinaed strip used 3 or 4 times a week help to a keep a room’s air fresh. This entry was posted in Incense and scents, Useful Info on April 27, 2015 by admin.